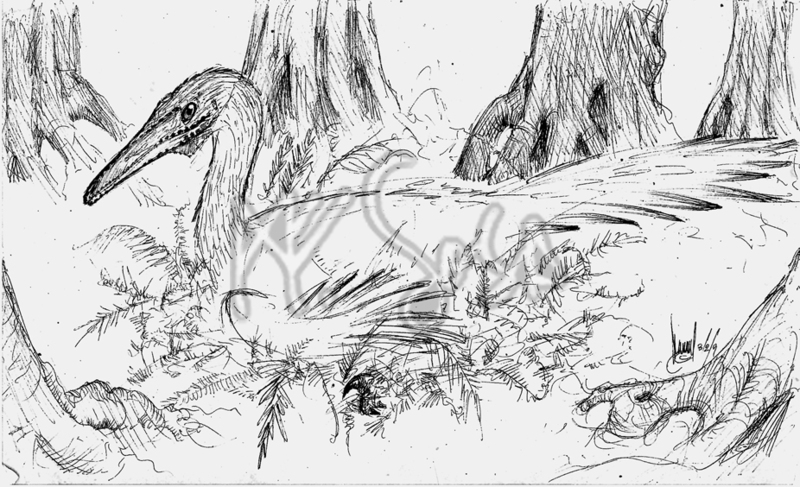 This blog is about paleontological illustration in all its meanings, and how this important issue in the palaeontological work, changes the way I see my place in science. Being student of earth sciences for a long time (but without a great result in my carrer) forces me to explore beyond the PHD heavens and becoming a scientific ilustrator, task wich fuses my drawing hability and my love for vertebrate paleontology. Here I will show my works (at least the published ones) and things that could fall on the wide (and paraphyletic if could) range of “Paleoart” stuff.. In some future I hope to post tricks, technics and commentaries on the process of illustration itself. of course like your web-site however you need to test the spelling on quite a few of your posts. Several of them are rife with spelling issues and I to find it very bothersome to tell the truth then again I will definitely come back again. Thank you very much for your comment, and my apologies for the spelling, most of the errors are due to my haste and my rusty knowledge of English (and exes of trust in online translators ..) doubly’ll check my texts on! I have learn some excellent stuff here. Certainly value bookmarking for revisiting. I surprise how a lot effort you set to create any such excellent informative web site. how much do you charge for drawings? There isn’t a generic prize for drawings, it depends on which one we’re talking about. But approximately it’s around 100 dollars each. You can contact me at my mail paleomanuel@gmail.com , feel free to ask any related questions. Hi. You dropped by on my blog so I came back to see your blog. When I was a teenager I did some simple fossil reconstruction drawings but my career took a different direction. Sometimes I regret that. I look at your drawings and envy your skill and opportunity. I wish you success in building on what you can do and making this into a career. I love your drawings. I think there is a tension between scientific accuracy and artistic ability to bring that ancient world alive. Go with it. I will be following you. Thank you! 🙂 I’ll be trying my best to keep this rolling! Manuel, You are amazingly talented. I teach an evolutionary biology course and finding good pictures of ancient life is rather difficult. Thank you for sharing your gift with us. Estoy encantado de haber encontrado tu sitio web! Thank you Michael for the support! I have been somewhat absent from this site for a while but I’ll come back soon. Feel free to use and share my drawings in your courses ( I only ask you to please link the source).